These presentation slides 42588 are complete compatible with Google Slides. Simple download PPTX and open the template in Google Slides. 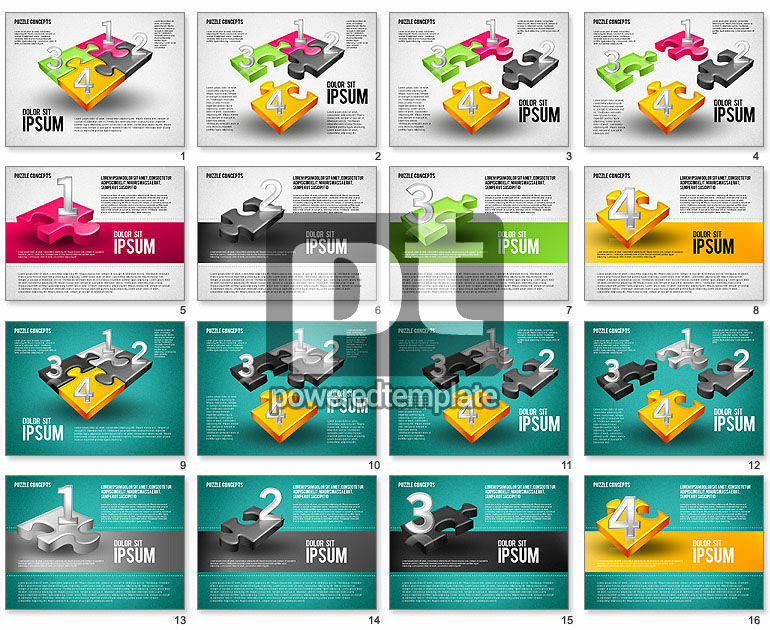 It`s a magnificent template created in a jigsaw puzzle style. It has different colorful items with numbers, connected between each other like jigsaw puzzles or presenting separately. Also two color variants of the background are available to use it anywhere in business, education or media. Your audience will be happy to contemplate your presentation with this extraordinary multifunctional sample.